This recipe makes tons of cookies! Its great to have extra cookies waiting in the freezer. You can freeze the cookie dough a month or two, thaw in the refrigerator overnight, and bake according to the directions. Or, bake all the cookies and freeze, well wrapped, up to a month! To flavor the sugar, rub lemon zest into the sugar with your fingers until the sugar is well coated in lemon fragrance. In a large bowl or stand mixer, cream together butter and sugar on medium-high speed until smooth. Add the eggs one at a time, beating after each addition. Add the vanilla, lemon juice, and extract and beat until combined. Stir the flour, baking soda, and salt into the wet mixture until just combined. This should form a soft, but not overly sticky, and should be fairly easy to handle with lightly floured hands. Wrap the dough in plastic wrap or put it in a plastic bag and chill one hour to overnight. After dough is chilled, preheat the oven to 400 degrees F. Turn out dough onto a clean, well-floured surface, and top with another light coat of flour. Roll out with a rolling pin up to ½ inch thick, and use a cookie cutter to cut out shapes. 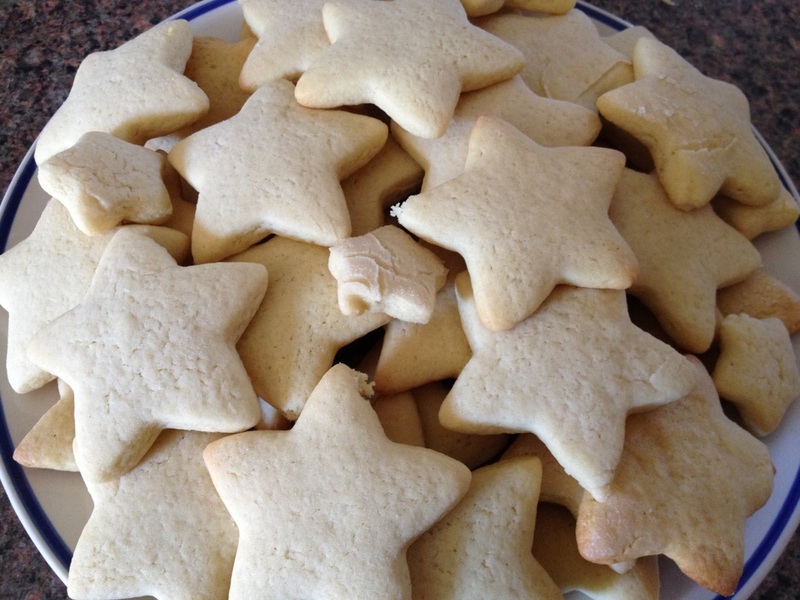 Place the cookie cut-outs on a baking sheet covered with parchment paper, and bake for 6 minutes, adding one minute at a time after that if necessary to get ever-so-slightly browned cookies that are still a bit soft in the middle. 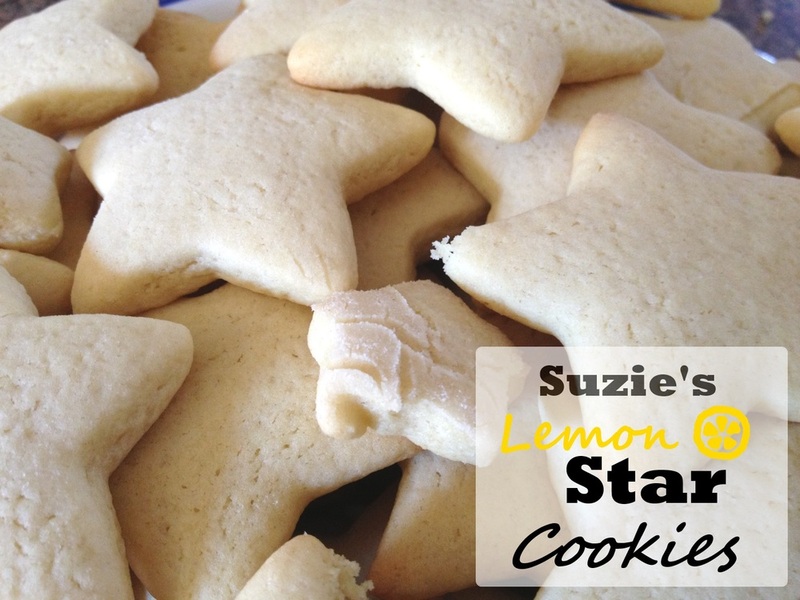 Suzie likes to frost these cookies with a mixture of lemon juice and powdered sugar and a topping of yellow sprinkles. (Especially when she’s making sparkly stars!) Begin with ¼ cup lemon juice, 1 ½ cups confectioner’s sugar, and ½ tsp. vanilla extract, and whisk in a saucepan over low heat until the ingredients are dissolved. You can add more lemon, sugar, or vanilla to taste. Remove from the heat and cool until the cookies are ready to frost!